Welcome to Cars for Stars. 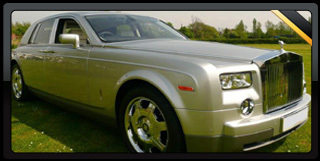 Here we have the stunning Rolls Royce Phantom, available for hire from Cars for Stars. For luxurious Rolls Royce Phantom hire anywhere in the UK, come direct to the experts at Cars for Stars. Our impressive fleet of Rolls Royce Phantoms is continually being updated with the latest editions to youll have your pick of the finest Phantoms in the country when you hire a Rolls Royce with Cars for Stars. Our Rolls Royce Phantom chauffeur cars are popular for a whole range of special occasions including weddings and corporate functions, days at the races and airport transfers, anniversary and engagement celebrations and also birthday parties to name just a handful of the occasions the Phantom is in demand for. 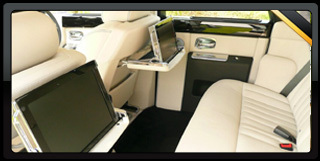 Take a look inside the luxurious Rolls Royce Phantom and you wont fail to be impressed. Inside youll find sumptuous leather upholstery along with a beverage chilling compartment and a range of entertainment features including a state of the art sound systems and TV and DVD player. We offer a wide range of Roll Royce Phantom chauffeur cars in various colours including white, black, silver, blue and more. Please contact us for more details. If you would like to hire the prestigious Rolls Royce Phantom please contact us by calling 0845 500 3030. Featuring the luxury Rolls Royce Phantom in various colours. 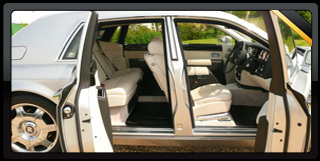 Hire the stunning Rolls Royce Phantom for your next journey from Cars For Stars. Image gallery featured.